Offshore fishing in west central Florida can be broken down in to seasons. During the winter (January-February) when our water temp is at its lowest, Bottom fishing jumps into high gear as the water cools grouper and snapper move close in putting them in our ½ day range! Tripletails are found along the coastline giving a unique opportunity for sight casting with light tackle. These hard fighters offer the angler a high leaping battle and rival the grouper for it’s excellent table fare! As spring arrives the water warms bringing the migration of bait fish (Sardines, cigar minnows glass minnows and Pilchards) With there arrival the pelagic fish follow (King Mackerel, Spanish Mackerel Cobia, Wahoo and Barracuda) giving the angler many more types of fish to target! These fish will remain till late fall! Florida is blessed with a very long season! As summer approaches other offshore fish start to show up. Sailfish, Wahoo, and Dolphin to name a few. 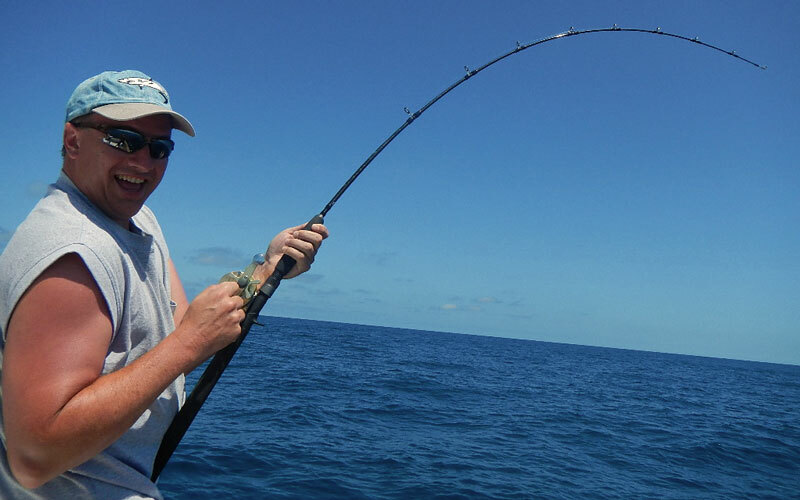 While bottom fishing offshore I will usually fish a few free lines and sometimes add a kite to the spread, Fishing the baits at or near the surface offers a wonderful opportunity to catch a variety of different fish and you often see the strike witch adds to the fun! You never know what’s going to hit the kite line, Amberjack, Sailfish, Blackfin, Wahoo or Kingfish!! All of witch is a blast to catch on light tackle! Don’t forget to call Ryan Rolland for all of your fishing needs.